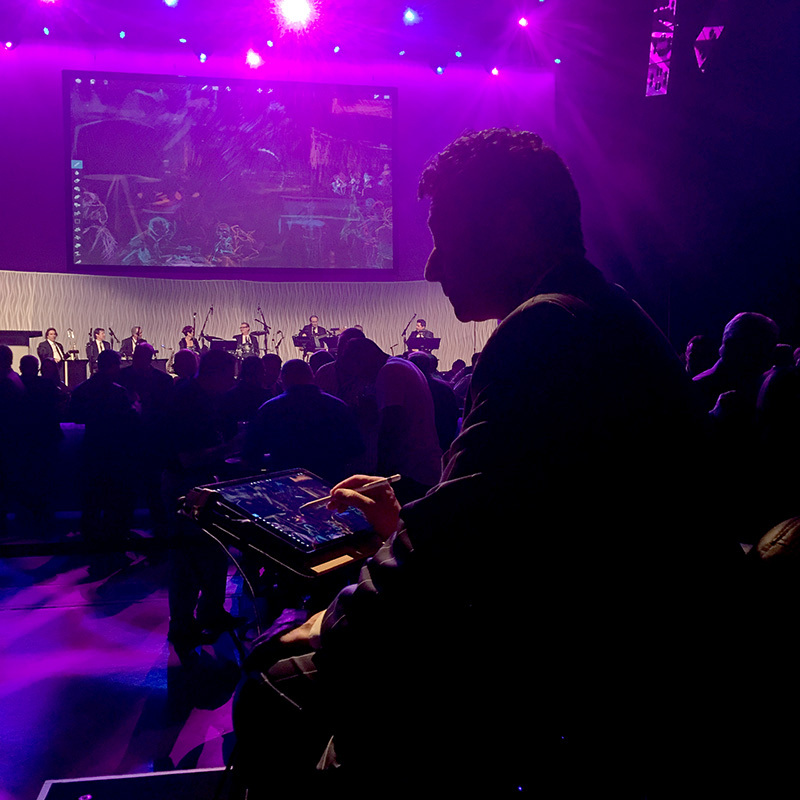 “Painting the Night” at a corporate event in Las Vegas. Portrayed Elvis as an Elvis impersonator is performing on stage, with my painting projected live on three 40′ wide by 20′ high screens above the stage. “Jeremy — thank you so much! Everything was absolutely amazing, you were such an amazing part of our success.“​ ~ Alana C.
The final painting. 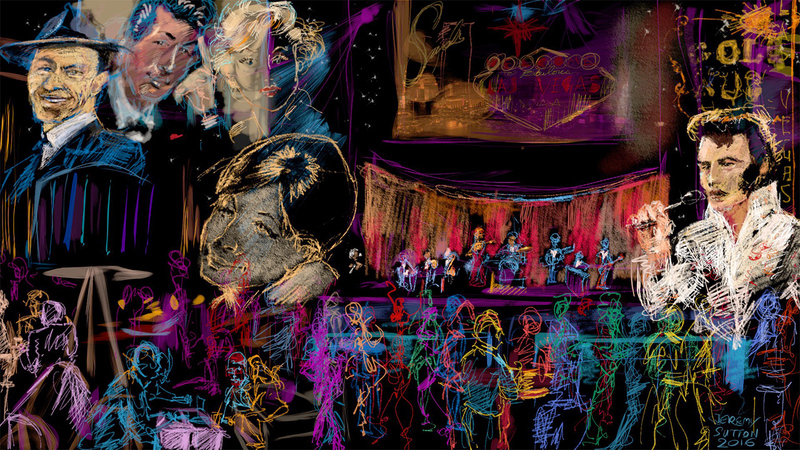 Each of the main Las vegas performing characters depicted – Frank Sinatra, Dean Martin, Marilyn Monroe, Barbara Streisand and Elvis Presley – were painted live as “they” appeared on stage. 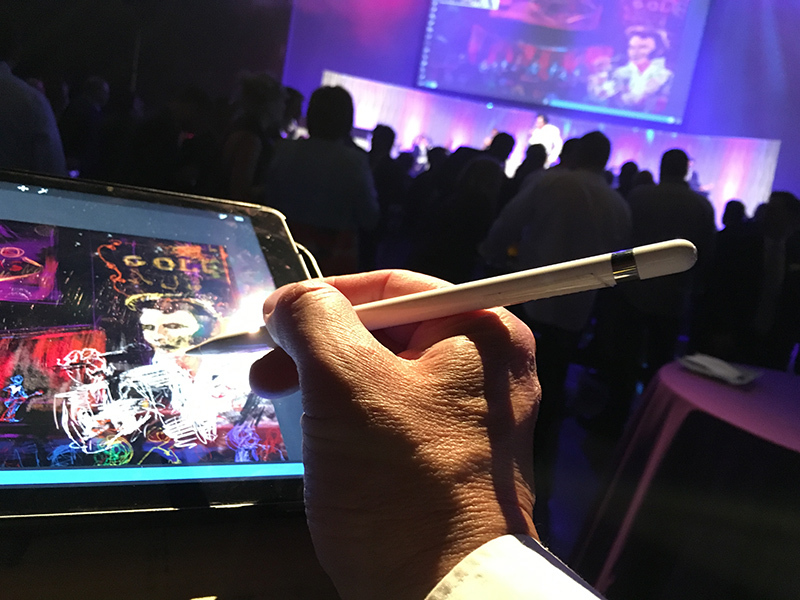 Click here to see more examples of my live event painting performances. HI Jeremy, I love your work! So Beautiful ! I appreciate getting your info & will look into your classes. I have been using a Wacom tablet since the 90’s ,recently moved & now doesn’t work since my move- bought an IPad & pen want to get back at it but really confused as to how & what is needed to proceed. 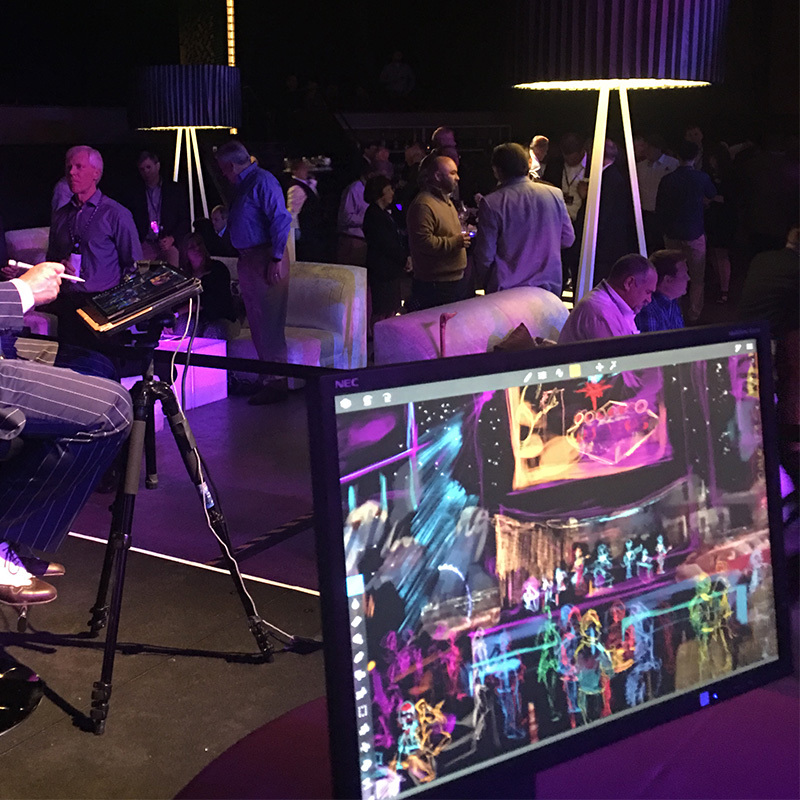 Are you using the Corel Painter program in the Las Vegas Demo? Could you give me some pointers as to what I need to go forward with using new equipment? Did think I would get your online classes – with using the IPAD but now need to get the PAINTER program on this?? JUst not sure how to proceed.